1st place in Vision Quest. Set new single speed record. Holds both geared and single speed record. Warrior's Society member - Set a new female course record. 1st Female Single Speed, Record for course, Club and Race member. Set a new course record on a fixed geared Cyclecross bike. 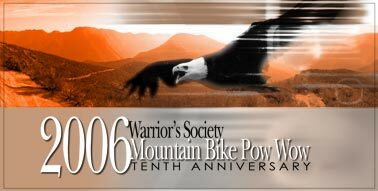 Warrior's Society Race Team Captain--Riding Unsupported. Warrior's Society Jr. Race Team Member and Captain. Youngest Vision Quest finisher at 15.